On today’s podcast, we’re joined by Jen Roberts. The President and Founder of Difference Consulting, the resident expert in the field of employee engagement and motivating employees. 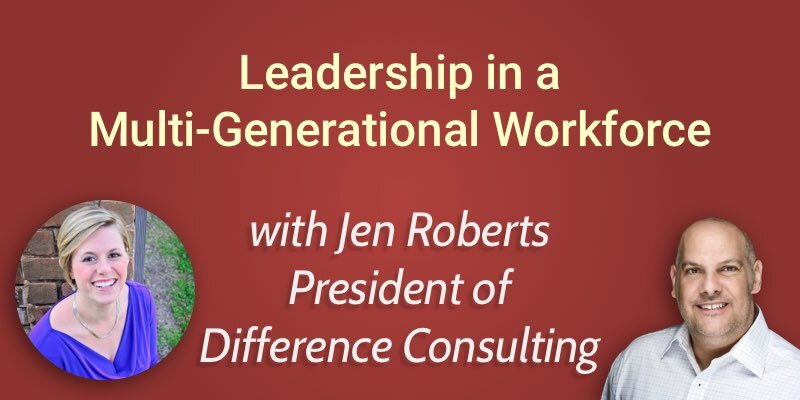 Jen says things are rapidly changing in the workplace and leadership in organizations has to respond and adapt to attract and retain multi-generational talent. 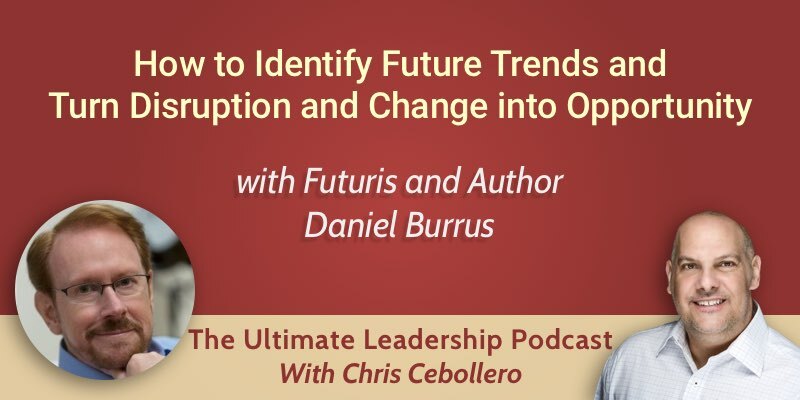 Within today’s podcast, we look at the way employees needs have changed and how leaders can create open communication environments for their teams to reach their highest potential. We are entering a critical time where good talent within an organization is essential, as we are impending a global talent shortage, particularly in industries where there is highly skilled labor such as Cyber Security and Engineering. There is going to be a challenge amongst leaders in organizations if they are not willing to adapt to attract and retain talent. There’s going to be a lot going on in the next 5-10 years when technology is changing at neck-breaking speed. Plus there will be challenges that come with a multi-generational workforce. Millennial talent is the largest demographic in the workforce, comprising for 75% of the workplace by 2030. Organizations need to be leveraging their talent and making sure they are prepared to go into leadership positions. Although there is a pre-conception that millennials are lazy, they are actually willing to work hard. But they also want to work smarter with by leveraging technology. Millennials, in particular, are looking for meaningful work, where they are making a valuable contribution to the success of the organization. Jen says a much more flexible working environment with a humane work environment will help retain talent and encourage people to reach their full potential. Management also needs to be much more hands-on with transparent communication, giving their employees real autonomy to go and do their best at work. As opposed to the hierarchical command and control approach, people are now looking for open and continuous communication where you can flow between ‘levels’. Annual performance reviews are going out of date, as successful leaders create a dialogue between the individuals working in their teams to help them adapt and make changes there in the moment and celebrate successes they are achieving as well. Jen says we are entering a time where working is going to become much more results-based rather than fixed and ridged. Setting a strategic vision for the organization allows your employees the autonomy to actually accomplish their work in a way that suits them and get the results you’re looking for. Leaders can focus on fostering continuous feedback and really creating that environment for open communication, through engagement surveys, mobile apps, team meetings and implementing development programmes. People are no longer attracted to companies for salary and benefits, people really want to work for organizations who consider their human needs and will set them up for success. Leaders in organizations need to work on rethinking and rewriting positions for organizational agility, leveraging the internal team, not always specific to promotion. Visit our website: www.differenceconsulting.com and schedule a complimentary discovery call, which is the first step in their process, to really take a look at how leaders can get started. It’s great way for Difference Consulting to find the next steps for leaders, who can further this by entering into the next phase of the process. The next phase is to hold a more detailed Difference Consulting discovery conversation and schedule a strategy day. 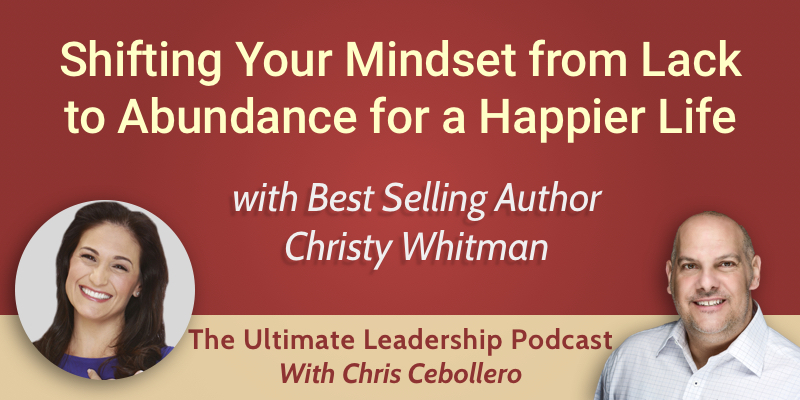 We’re joined by Christy Whitman. 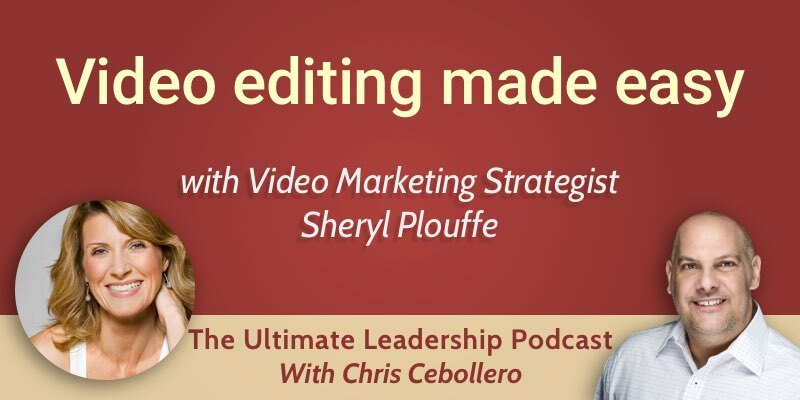 A bestselling author of The Art of Having it All, and an abundance coach. Christy says abundance means all kind of energy, including love, time, opportunities, options, freedom, and money. As human beings, we know more lack and limitation than abundance, and when anyone is feeling bad or a low-level emotion, it’s because they are in lack. By working with the human-ness of the person, Christy helps people energetically and mindset-wise. She helps to put in practical terms of what to do in your daily life to shift your energy from lack to abundance. Once you make this shift, things in your life will change. When people look for a coach, it’s usually because something in their life isn’t working. It could be their love life or frustrations with health, which are just conditions and circumstances around what we experience. Christy says these frustrations present as a condition, so she goes deeper to see why that person attracted and created it. They then take the lessons and are rebirthed into a new being. As human beings, we are energy towers which send out signals all day every day. Our energetic connections with things determine whether we attract or repel it. When you send out a different signal, it will be attracted to you. Look at your belief system and see if you are holding onto lack and limitation with conditioning. Challenge where your life isn’t working and know that you don’t need to be victim to it. Any negative emotion we experience comes from lack. We don’t have to know the emotion we’re feeling, just know that lack is the root of it. When Christy felt a negative emotion during a massage, she asked herself what the cause of it was. Part of her believed she’d used up all of her success, and she wasn’t even aware of it. She gave that part of her reassurance and wrapped that part in abundance by thinking of something which made her feel joyful. We deliberately choose the way we want to feel, and when we acknowledge and change that, things in our outer reality start to change. Finding the secret to success is inside you in the energy. It’s a continuous journey which you have to work on every day. Christy says when she connects with the energy inside her, she brings the sense of joy into her life. Feeling like you’re far from having it all is not knowing who you are and being attached to the physical world. These things appear real, but they’re not. They’re materialistic and can be changed by your consciousness. A lot of the time, we want to control everything and make things happen us. We think we’re running the universe. People who like to have control want their world to feel safe, so want everything their way. This prevents the realm of the magical to come in and make things easier so it’s not so frightening. In 2008, Christy was a coach and was doing well. Within the space of a week, she had four different people ask her to certify them but it wasn’t something she offered. She took it as a sign and put pen to paper on what the programme would look like. She has been certifying coaches ever since. The Quantum Success Learning Academy is a place where you get to learn about energy and the universe laws, shift and heal, and prepare to help someone else.